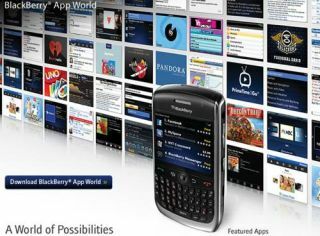 BlackBerry App World is celebrating its first birthday, with RIM's application store arriving on April 1 2009 in Canada, the US and the UK. BlackBerry App World – now available in 46 countries – finally brought apps for the popular BlackBerry devices, and aided in making the handsets more consumer friendly. "Whilst the BlackBerry platform has always been built to accommodate applications, the launch of BlackBerry App World has made it easy for consumers to browse and download apps safe in the knowledge that whatever shows up in the store will work for their model, on their network," explained RIM. "The store now contains over 6,000 apps for consumers and businesses alike, including a growing number of Super Apps such as BlackBerry Messenger, Facebook and Poynt – these are the apps people really love and use every day, as they tightly integrate into the device's inbox, calendar, address book and other native apps," the company added. Apple's App Store was the key in making applications for phones a popular and key part of every major mobile phone platform. As well as BlackBerry App World and the App Store, there are also offerings from Nokia – the Nokia Ovi Store – Android and Microsoft with the Windows Phone Marketplace.